If you’re like most pet parents you’ve probably noticed your pup lounging out in the sun more than a few times. Unlike some people, your furry friend is not trying to improve their tan, and their love for the sun goes much deeper than a feel-good experience. In fact, there are actual health benefits to your pooch’s sunbaths. Exposure to the suns rays stimulates the production of serotonin in you and your furry friend, which happens to be a natural antidepressant so it creates a feeling of happiness. So when Fido stretches out in the sun they start to discover the pattern of an increased mood elevation, which encourages their love of sunbathing even more. Vitamin D is considered more of a hormone because dogs produce it in response to the suns rays. But it’s still labeled a vitamin because without it dogs can’t absorb calcium. Vitamin D for your furry-friend is crucial in an abundance of ways. It regulates the balance of calcium and phosphorus in their bodies, its important for bone development, and the control of muscles and nerves. Your pup receives an abundance of vitamin D through their food but they still obtain a good portion from direct sunlight. When we stand under direct sunlight the oil in our skin reacts to the UV rays by creating vitamin D3. Dogs have this same chemical on their skin to perform this transition, except their fur doesn’t allow vitamin D to be efficiently absorbed. 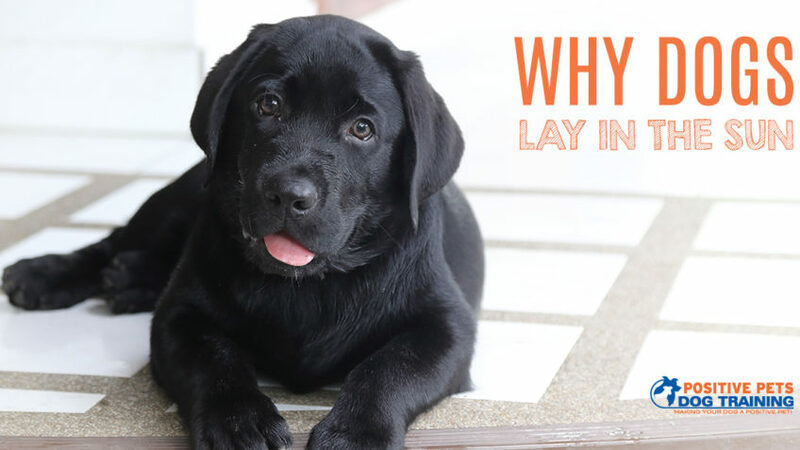 Vitamin D3 resides on their fur and gets consumed when your pup licks and grooms themselves. On top of this dogs love the extra warmth the sun provides because it helps regulate their body temperature. Even though there are plenty of benefits to your pups love of the sun, there are definitely some cons as well. Too much time spent in the sun can cause painful sunburns and even skin cancer. Short haired or hairless breeds are even more susceptible to the suns UV rays than other dogs so it’s important to make sure you’re properly protecting them. Dogs need sunscreen too, and they even make formulas specifically for your four-legged friend because sunscreen we use can be toxic to them. Also, make sure your canine has an area that’s shaded so they can retreat there if needed because by instinct they will retreat there when the sun becomes too intense. Your dog probably does plenty of things for the benefit of their health that you don’t even notice, or may even find strange. Staying informed on what your pup does and why can help you ensure they stay as healthy as possible because if you’re like us you want your dog to be their happiest and healthiest self!